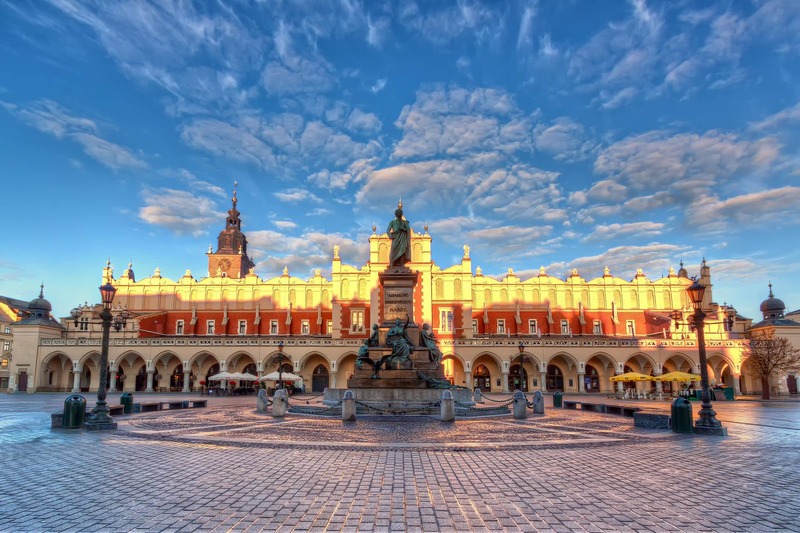 The Main Square of Kraków (Rynek Główny) is the central element of the city and no tourist will ever visit Kraków and don’t walk on this square. On this photo you can see the Kraków Cloth Hall (Sukiennice) with the Adam Mickiewicz Monument in the foreground. The sun just made its way over the roofs and throws the town’s silhouette on the walls of the Cloth Hall.